For the energetic visitor, there are numerous good walks literally from the door, with marvellous views across the Fells of the Central Lakes. Just a short drive away you will find places such as Shap Abbey and Haweswater where, during a dry summer, you can see the remains of Mardale, the village drowned when the reservior was built. In Penrith you can see Penrith Castle and also visit Rheged, The Village in the Hill. Ullswater, Windermere and Derwent Water are all within easy driving distance and where you will find boat trips, boat hire and fishing, together with other activities. 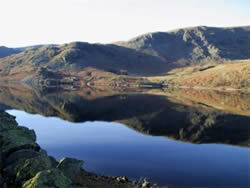 For more places to see visit the Cumbria Tourist Board site. 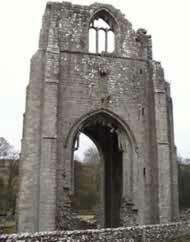 Other useful sites include the National Trust or English Heritage. The Westmorland Way is a scenic walk through the old county of that name, which now forms the south eastern segment of Cumbria. From mountain passes to canal townpaths, this is a walk of unparalleled variety. This website has been created to encourage and promote the year round exploration and enjoyment of this walk, providing all the tools necessary to plan a successful and enjoyable trip.